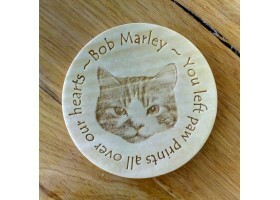 Wooden coaster engraved as an In Loving Memory keepsake. Popular for loved and lost pets. Those who have never had a pet, don't understand the grief of losing your four legged adopted child. The grief you feel is just as hard as losing a very close family member and it never leaves you. It is somehow comforting to have something to remember them by. If you are reading this and have a pet that is alive and well. You might want some sort of keepsake of them now and not at a sad time. 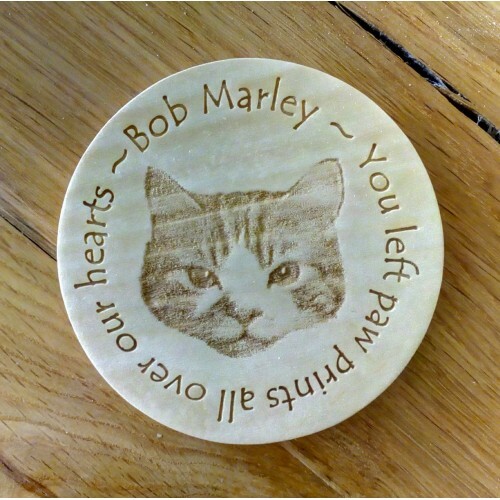 Take a photo of your dog's paw and have it engraved on to one of our products.